Pack of 5 (5 5/8 x 46) sealed with a Humidipak for humidified shipping! 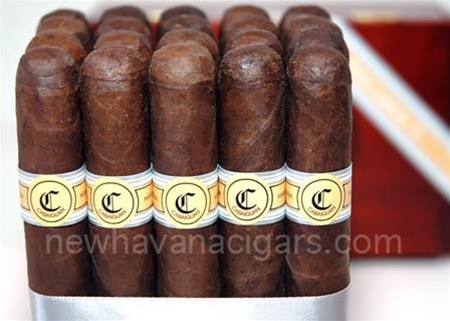 An upcoming release in the Cabaiguan line, the Maduro features a Dark Natural Connecticut Broadleaf wrapper - giving this vitola yet another different experience in the Cabaiguan blend. Shades in the wrapper will vary as this is a natural wrapper. The name Cabaiguan Maduro is simply to distinguish it from the regular Cabaiguan line. Full production is slated for Mid 2009. The Maduro is rolled in Esteli, Nicaragua at the Tabacalera Cubana factory. A product of the El Rey factory exclusively for Tatuaje.